You are here: Home / Roofing Specialist / Know About What The Roofing Specialists Can Do For You! Know About What The Roofing Specialists Can Do For You! Roofing is the covering on the uppermost part of a building that protects the inmates from weather, rain, snow, heat, wind and sunlight. The characteristics of a roof depends on the purpose for which the building is built. Roofing materials include asphalt, coal tar pitch, EPDM rubber, Hypalon, Polyurethane foam. PVC, Slate, Teflon Fabric, TPO, and wood shakes and shingles. The construction of a roof is determined by its method of support and how the space underneath is bridged and whether the roof is pitched or not. There are outstanding roofing companies in San Antonio who are specialists in all kinds of roofing services and can perform roof installations, repair, roof replacement, re-roofing or regular maintenance. Roofing contractors in San Antonio provide services through professionally trained crews and every product they offer is backed by unparalleled customer service and impressive warranties. Most Roofing contractors in San Antonio are into family-owned business and hence provide excellent customer service. They do new roof constructions, re-roofing services and roofing repairs. They use superior products and extend their services through trained technicians. Full service roofing contractors are available in San Antonio, whom customers may contact and avail their services. Pricing is based on the type of material used in the roofing and the complexity of the work. 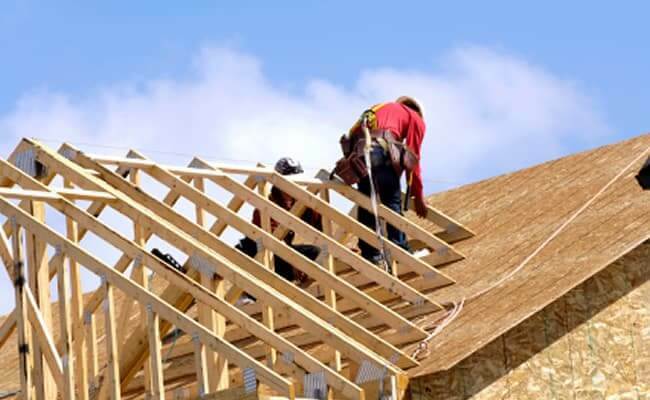 Safety is the prime concern during the installation of a roof. Trained contractors have the knowledge and skills needed for installing roof or repairing it. Roofing contractors are trained to provide good customer satisfaction. In general roofing contractors have to do designing, detailing, fabrication and sheet laying work also. Roofing services include residential and commercial roofing, roof repair, new roof installation, re-roofing, tile roofing, flat roofing, emergency roofing and emergency taping. Exceptional roofing services have been provided so far in San Antonio. Shingle roofs are most common in San Antonio, whether it be residential building or commercial building. Many types of metal roofing are also used. Patio cover is another major service in many houses. Gutter has to be designed very carefully and has to be maintained well. Impact-Resistant Roofs are an interesting service which the San Antonio roofing companies provide. Some houses and businesses opt for Flat roofs which are also available. Tile roofing is another type which is used for some specific purposes or when the customer opts for it specifically. Roofing Repairs include hail damage repairs which have to be dealt with very carefully. Water and fire damage restoration is a very important and valuable service provided to the customers. Other important and essential services are water extraction, moss remediation, emergency leak and water damage service and leak detection. Often Plumbing services have to be provided together with roofing services. Additional services include carpet cleaning etc.